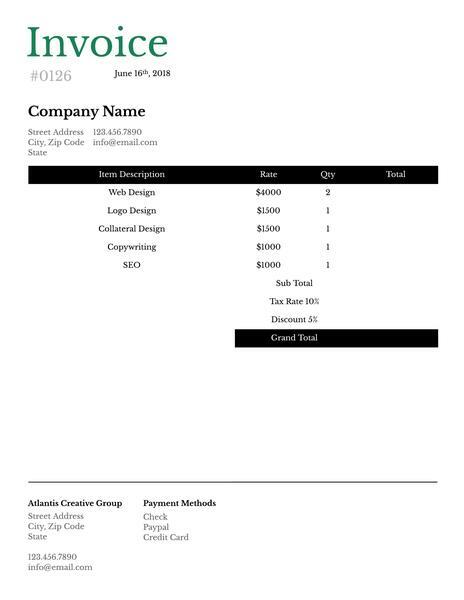 Ah, the humble invoice. This document has a reputation for being a bit tedious, especially when you have to create several in a row. 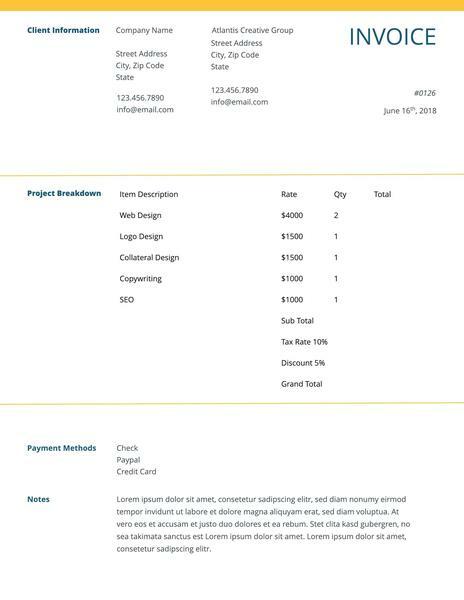 But the way you design your invoice actually says a lot about your brand. First, it represents your business to customers and clients, which means it's important to be professional and consistent. 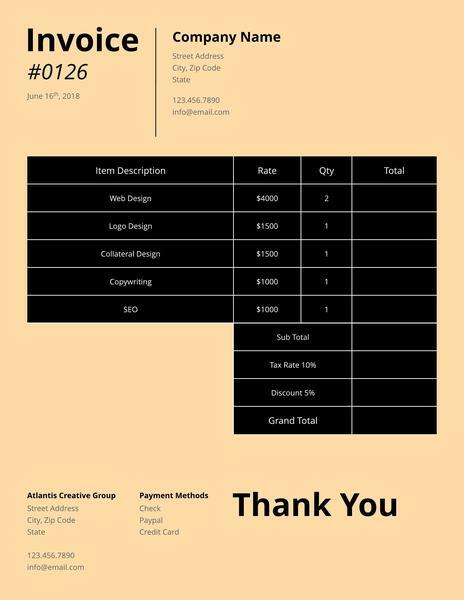 It presents vital information about your products, services and pricing, so its layout needs to be easily read and understood. You also have the opportunity to stand out by using branded elements like logos, fonts & colors. 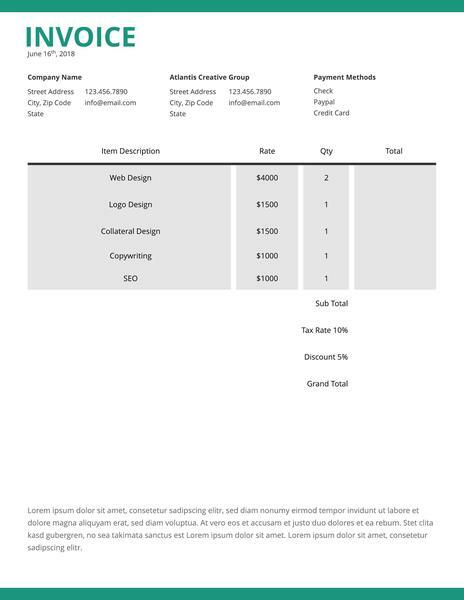 Many people turn to invoice generators when they need to design a few invoices quick, but that's not always the best choice. They offer very little flexibility or customization, resulting in the same design over and over. It's hard to show off your brand's unique personality with a cookie-cutter design. 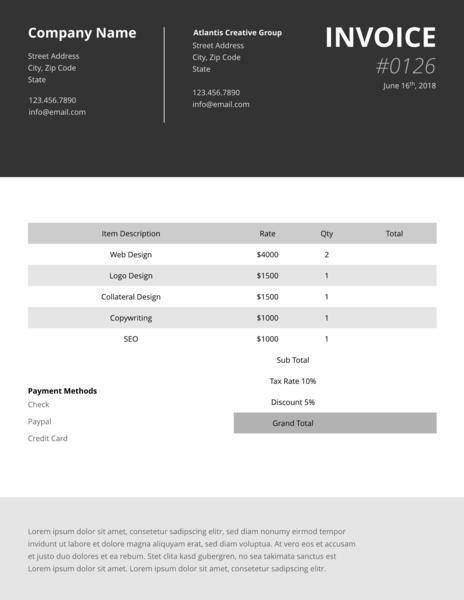 Instead, create a strong brand impression with one of our free invoice templates. 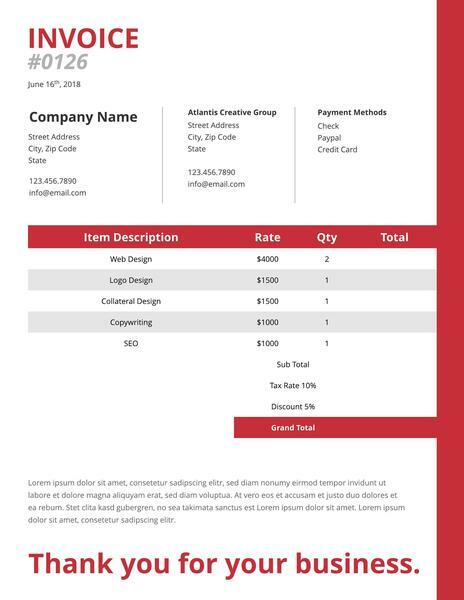 Thanks to our intuitive online designer, you can adjust fonts and colors to match your brand, then upload your logo (and other images) to complete the look. 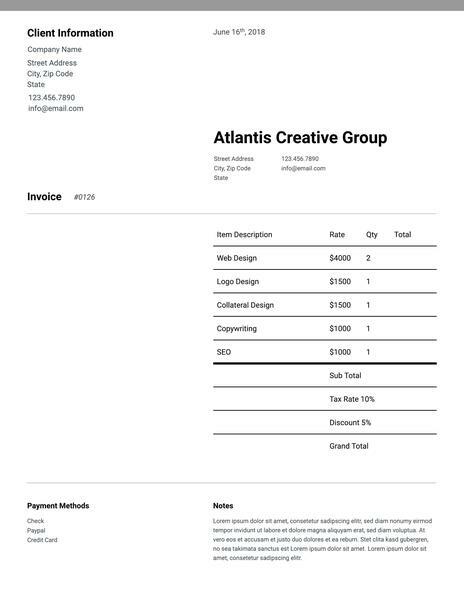 Drag and drop design elements with ease, then download print-quality PDFs. It's so simple and attractive, you'll wonder why you ever bothered with programs like Word.